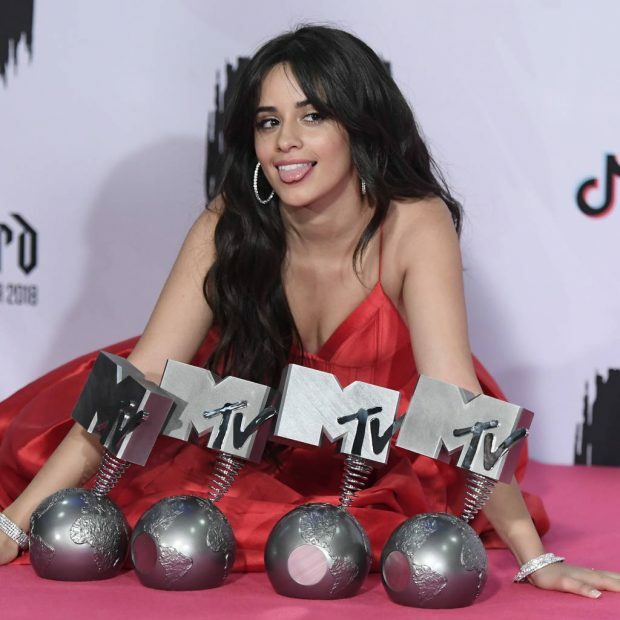 Camila Cabello dominated the 2018 MTV Europe Music Awards on Sunday, walking away with four top prizes. The former Fifth Harmony star beat Ariana Grande, Drake, Post Malone, and Dua Lipa to be crowned Best Artist at the ceremony in Bilbao, Spain, as her Havana hit with Young Thug was named Best Video and Best Song. She also took home Best U.S./Worldwide Artist. It was a good night for Nicki Minaj, too, who claimed Best Hip Hop and Best Look, while her rap rival Cardi B earned the best new artist honor. There were also big wins for Dua Lipa (Best Pop), Shawn Mendes (Best Live), and girl group Little Mix, who scored Best U.K. and Ireland Act and performed new track Woman Like Me with Minaj. Global Icon honoree Janet Jackson hit the stage for a medley of All For You, her latest release Made For Now, and the classic Rhythm Nation. During her acceptance speech, the R&B legend called on fans to join her in standing up for women's rights in light of the #MeToo and Time's Up movements against sexual misconduct and inequality. "I feel moved to speak for women's voices who have been stifled," she said. "I am one of those women. Women who have been gagged, both literally and emotionally. Women who have been abused. Women who have been intimidated. Women who have lived in fear." Other performers included host Hailee Steinfeld, Halsey, and Marshmello, who closed the show.